[119 Pages Report] Extruded Polypropylene (XPP) Foam Market was valued at USD 699.6 million in 2017 and is projected to reach USD 1,048.8 million by 2023, at a CAGR of 6.9% between 2018 and 2023. The base year considered for the study is 2017 and the forecast period is from 2018 to 2023. Both, top-down and bottom-up approaches were used to estimate and validate the size of the XPP foam market, and to estimate the size of various other dependent submarkets. This research study involved extensive use of secondary sources, directories, and databases, such as D&B Hoovers, Bloomberg, Chemical Weekly, Factiva, ICIS, and the Securities and Exchange Commission (SEC), among other government and private websites, to identify and collect information useful for a technical, market-oriented, and commercial study of the XPP foam market. The XPP foam market has a diversified and established ecosystem of upstream players such as raw material suppliers and downstream stakeholders such as manufacturers, vendors, end users, and government organizations. Key global players of the XPP foam market are Borealis (Austria), Mitsui Chemicals (Japan), BASF (Germany), Sekisui Voltek (US), Sonoco Products (US), DS Smith Plc (UK), NMC SA (Belgium), Pregis LLC (US), and Zotefoams Plc (UK). The global XPP foam market has been covered in detail in this report. Current market demand and forecasts have also been included to provide a comprehensive market scenario. The increasing demand for XPP foam from the automotive end-use industry is expected to drive the growth of the XPP foam market. 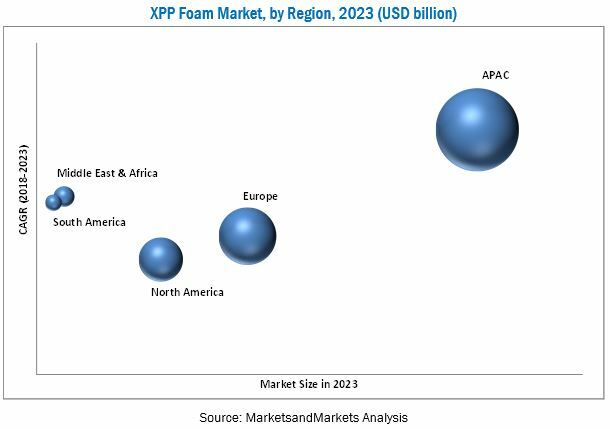 In terms of value, the global XPP foam market is estimated to be USD 751.0 million in 2018 and is projected to reach USD 1048.8 million by 2023, at a CAGR of 6.9% between 2018 and 2023. Based on type, the low-density type segment is estimated to account for the largest share of the XPP foam market in 2018. The low-density XPP foam market growth is driven by the increasing demand from automotive, protective packaging, and insulation applications. The automotive industry dominates the consumption of low-density XPP foam. The use of low-density XPP foam in automotive applications helps in impact protection and weight reduction of vehicles. Based on end-use industry, the automotive segment is estimated to account for the largest share of the XPP foam market in 2018. XPP foam is highly demanded in automotive and packaging end-use industries. The automotive end-use industry dominates the overall XPP foam market. XPP foam is widely used in bumpers, floor acoustic barriers, sun visors, side door panels as energy absorbers, headliners, and so on. It is becoming a preferred choice in the automotive end-use industry as it offers high impact strength while enabling weight reduction to increase the fuel efficiency. APAC is estimated to account for a major share of the overall XPP foam market in 2018. The dominance of APAC is mainly backed by the rapid economic growth and growth of automotive, packaging, building & construction, and other end-use industries in the region. Rapid industrialization coupled with the improved standard of living also positively influences the growth of the market in the region. Moreover, the high growth of the emerging economies and increasing disposable income in APAC make it an attractive market for various end-use industries, and subsequently the XPP foam market. However, the lack of awareness and rising prices of extruded polypropylene foam are considered as the major restraints for the growth of the XPP foam market. Key global players of the XPP foam market are Borealis (Austria), Mitsui Chemicals (Japan), BASF (Germany), Sekisui Voltek (US), Sonoco Products (US), DS Smith Plc (UK), NMC SA (Belgium), Pregis LLC (US), and Zotefoams Plc (UK). 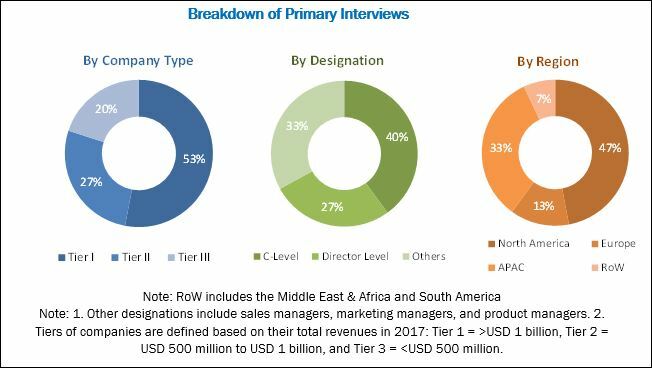 There is a high competition among these market players, and they focus on organic and inorganic growth strategies to increase their market share and regional footprint. For instance, in June 2018, Toray Industries acquired a plot measuring about 350,000 m2 in Andhra Pradesh, India, for its local subsidiary Toray Industries (India) Private Limited. The company has decided to establish a new base for its polypropylene (PP) spunbond for hygiene materials business, whose market is expected to expand along with the increasing demand for disposable diapers. The new facility will have an annual production capacity of about 18,000 tons and is scheduled to start operations in April 2020. The expansion will help cater to the growing demand from manufacturing industries such as automotive, home electric appliances, chemicals, pharmaceuticals, and construction machinery. In May 2017, Borealis had planned to expand its presence by constructing a new compounding plant in Northern California in North America. It is expected to produce 30 kilotons per annum of Daplen and Fibremod PP compounds for the automotive industry by early 2019.